Tibet’s second city Shigatse has had an important place in Tibetan history. 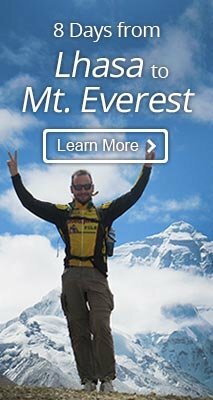 Mount Everest’s North Base Camp is located in Tingri County, Shigatse Prefecture at an altitude of 5200 meters. Located in the alluvial plain at the confluence of the Brahmaputra and the Nianchu River, Shigatse is 273 kilometers west of Lhasa. 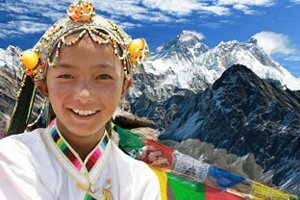 At an elevation of 3,800 meters, with an area of 3,875 square kilometers and population of 820,000, it is the second biggest city in Tibet. It is an ancient city with a history of 600 years. It is named Shigatse in Tibetan and Rigaze in Chinese, originally meaning ‘a manor of the most fertile soil’. In the middle of the 13th Century AD, the Yuan Dynasty (1271-1368) set up 130,000 households in Tibet and the region which now constitutes Shigatse came under the jurisdiction of the Lord of Xialu. In the early 14th Century, Great Situ (minister of education in ancient china), built the Pazhu Dynasty to replace the Sajia Dynasty, moving the political center in the lower reaches of the Nianchu River from Xialu to Shigatse. Shantarakshita, a famous monk from India, went to Tibet to build Samye Monastery in Shannan Prefecture at the invitation of the King Trisong Detsen of Tibet in about 775 AD. He passed through Shigatse where he preached and spread Buddhism. The monk predicted the centers of power in Tibet would be set up in Lhasa and Shigatse. 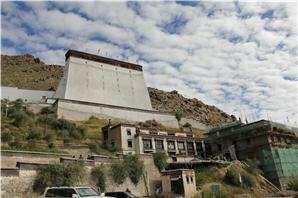 In the middle of the 15th century, Gendun Drup, the first Dalai Lama, directed the building of Tashilhunpo Monastery at the foothills of Nima Mountain, laying a solid foundation for the future development of the city. 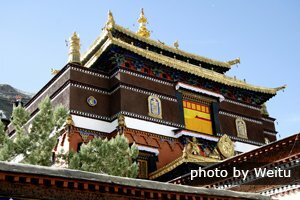 Tashilhunpo Monastery is the traditional seat of the Panchen Lamas. The ancient buildings of the monastery maintain the Tibetan style and have also absorbed some Han architectural features. Shigatse boasts several local dishes. There are, for instance, Tibetan sausage, high-land barley wine and yak butter, beef and mutton, tongue of yak that served cold and dressed with sauce, tsampa, various kinds of cookies and sweat tea, milk tea, yoghurt, roasted sausage, dried meat, shapu (smashed meat) and so on. All these dishes can be found served in the night fair near the bus station, where the delicious Tibetan flavor would never disappoint you. There are mainly 3 kinds of regional climate in Shigatse: temperate semiarid monsoon climate of plateau in the region north of the Himalayas and south of the Nyainqentanglha, semi-frigid semiarid and arid monsoon climate of plateau in a few regions north of the Nyainqentanglha and temperate monsoon semi-humid climate of plateau in the region south of the main ridge of the Himalayas. Shigatse is considered the second traffic center of Tibet after Lhasa. The major highways are National Highway 318, the Shigatse-Yatung Highway, the Lhasa-Purang Highway, and the China-Nepal Friendship Highway. The total mileage is nearly 8,000 kilometers, and the highway conditions are constantly being improved. From Shigatse, both the China-Nepal Friendship Highway and the Shigatse-Yatung highway can be used to reach Lhasa and Shiquanhe as well as Nepal. The only airport in the region, Gonggar Airport, is about 400 kilometers from Shigatse. You can get there by bus, but you will need to transfer at Chusul. If you are at the airport and want to come to Shigatse, take the bus labelled "Zang C". Buses in Shigatse run between certain hours, but not always on a precise schedule. It is best to use the bus system only when your timing is flexible. The bus station is located on Middle Liberty Road. Buses to Lhasa, Gyantse, or Lhatse are available from the stop on the west side of Tashilumpo Monastery Square, and run between 7:30am and 8:30pm. Those who wish to visit Gyantse or Lhatse can also take a private coach from the bus station; these run from early morning to 3:00pm. Additional buses to Lhatse run from 6:00am to 9:00pm, but they will wait until there are enough passengers to fill the bus before they depart. The bus to Lhasa boards at a stop across from the Industrial and Commercial Bureau on Gongjuelin Road. 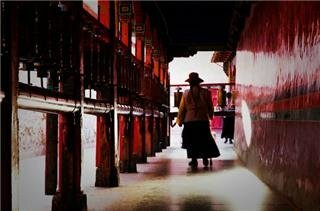 Shigatse is a small city, and walking is the most convenient way to get around. Tricycles will charge 2–3 yuan per person, although you are able to bargain with them. Taxis will all charge 10 yuan.